Skye Gravestones | John & Morag (Macdonald) Macpherson. John & Morag (Macdonald) Macpherson. 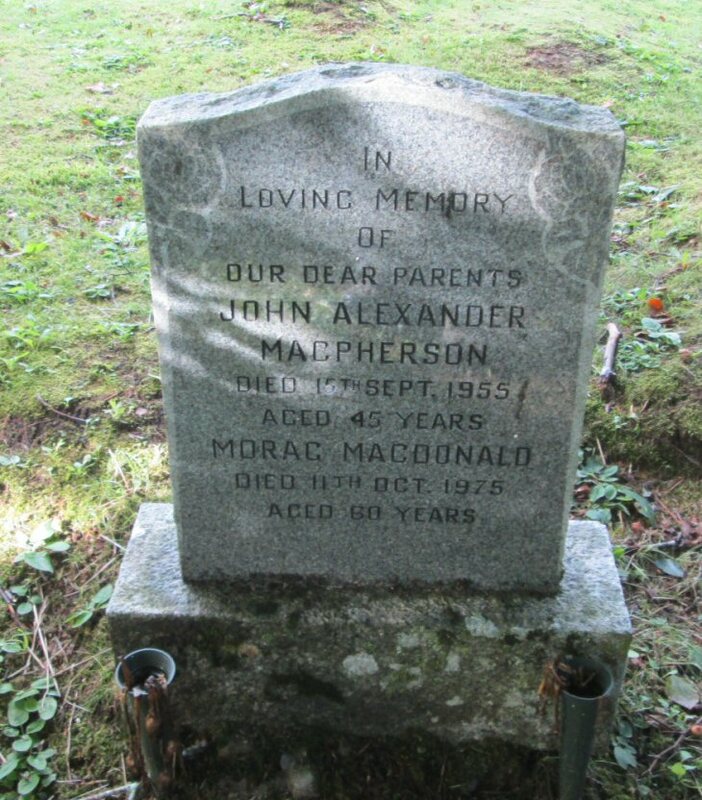 In/loving memory/of/our dear parents/JOHN ALEXANDER MACPHERSON/died 15 Sept. 1955/aged 45 years/MORAG MACDONALD/died 11th Oct. 1975/aged 60 years.